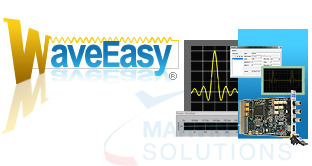 Analog Waveform Development and Analysis Software - WaveEasy | Marvin Test Solutions, Inc.
WaveEasy is an interactive analog waveform editor software tool for creating and editing analog waveforms. To view or edit existing waveforms, you can open or save files using various file formats including WaveEasy, ASCII or text (txt, csv, prn), or the NI-HWS (hws) format which is used by many instrument drivers. 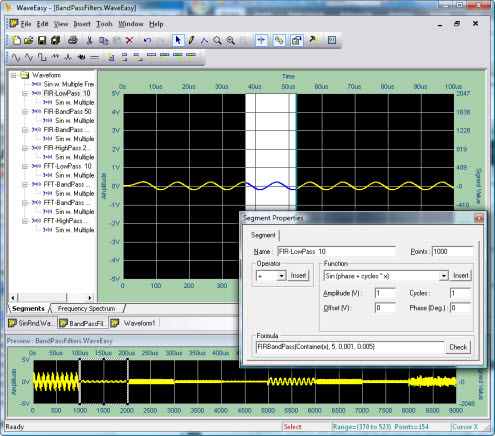 WaveEasy waveforms contain waveform segments and segment items which are described by a mathematical function or by an array of points - created by a line drawing, freehand drawing, or some other external source. The user can apply a mathematical function to each segment or segment item, allowing for the creation of complex waveforms, the addition of noise, filtering or other waveform attributes. After creating your waveform, you can save it to disk and then load it to your waveform generator from your application development environment, such as ATEasy, LabVIEW, LabWindows/CVI, or Microsoft Visual Studio. 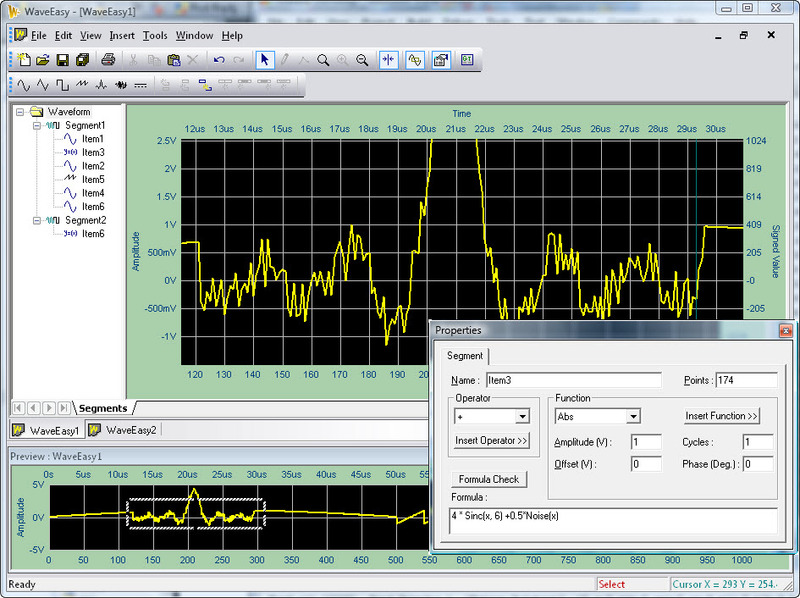 WaveEasy waveform files are created, saved, and edited using the WaveEasy file format. 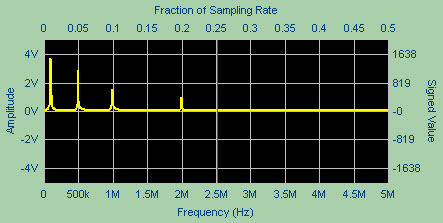 Using a formula based implementation to describe the waveform, the editing of segments and segment items is easily performed and results in small, compact waveform files. 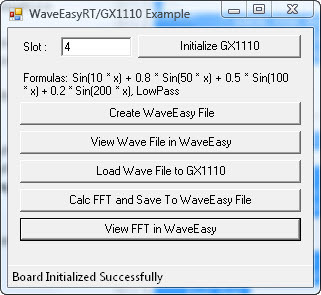 When used with the Marvin Test Solution’s GTWAVE application software, you can upload and download waveforms directly from the GX1100 family of arbitrary function generators to WaveEasy’s waveform display.